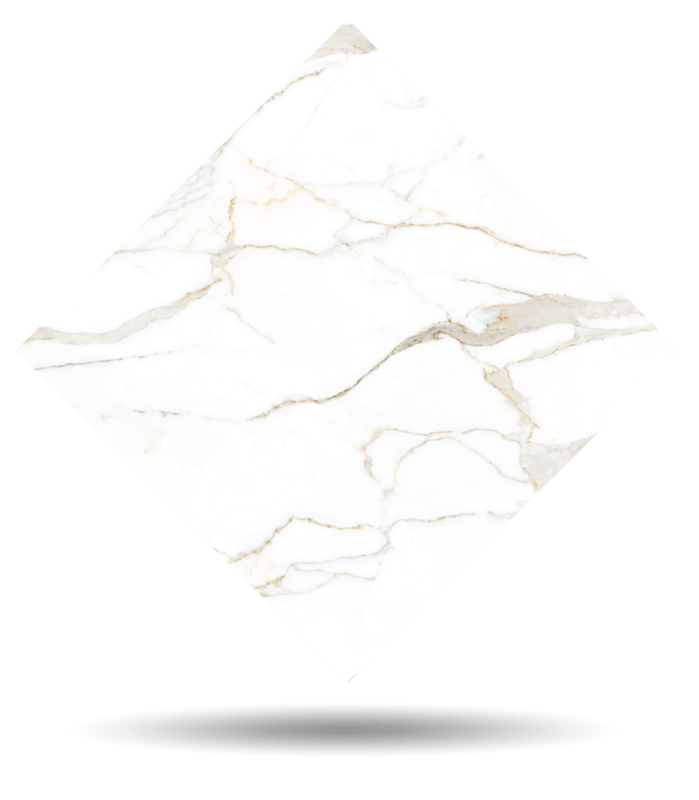 Calacatta is a white marble (Calcitic Marble), natural stone. It presents a peculiar chromatism, in which an off-white background with very fine light grey streaks are punctuated by tiny amber and golden notes. A proud protagonist of Italian culture, this marble exhales and transmits Renaissance Humanism, witnessing numerous colossal projects. Calacatta marble is a timeless testimony that reminds us that the beauty of the classics, although reinterpreted, always return. An unequaled natural stone if architects and interior designers want to dress up luxury interiors elegantly. TINO Collection standard surface finishes are: Polished, Honed, Domus and Sandblasted. TINO offers Calacatta white marble in any formats and finishes desired by the customer. Check maximum size per finish. For other finishes, please check availability and sizes.